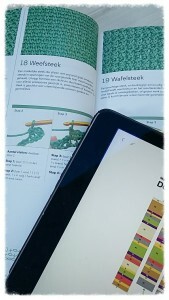 WIDN: What I’m Doing Now. To be fair, I’m working on way too many. UFO’s (Unfinished Objects) or WIP’s (Work In Progress), in the world of Crochet, there’s many abbriviations voor projects you’re working on, but are not finished yet. I’ve got many of these. Today I’m working on one of them. 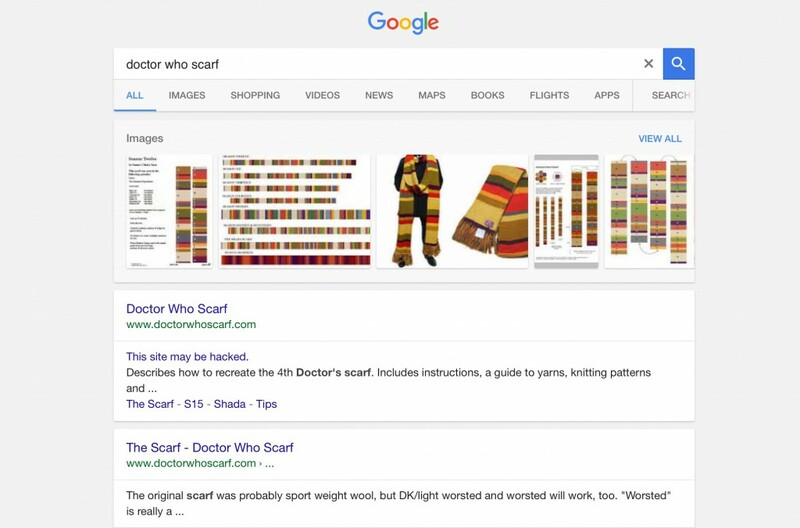 Doctor Who’s scarf. My husband and I are big Doctor Who fans. For those who don’t know (shame on you! ), this is an English series about a man who travels trough time and space. It’s wonderfully silly, it’s scifi and has great British humor. This series was revived in 2005 but the original one started already in 1963. 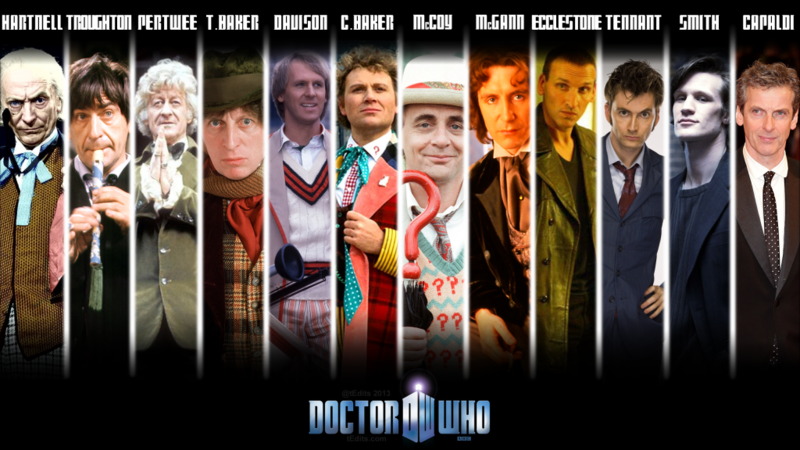 Throughout the years there have been many different Doctors. The man can actually ‘regenerate’ when he dies. He’ll change appearance and will be played by a different actor. Doctor number four has a very distinct and long scarf around his neck, typcial for the Doctor played by Tom Baker. This was the scarf my husband wanted, so he placed an order with me. 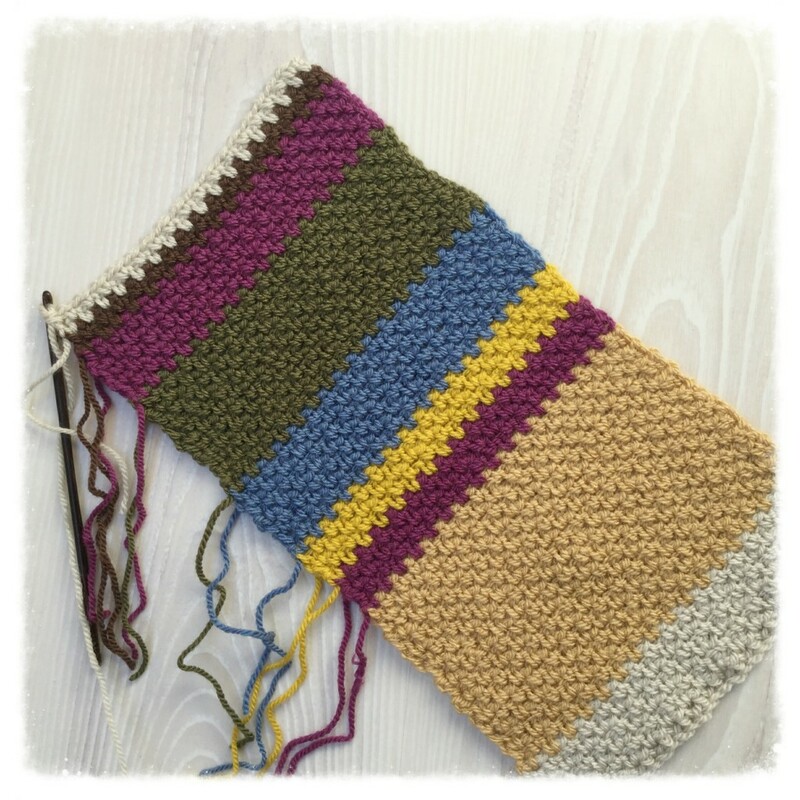 I got to make Doctor Who’s scarf! A quick Google search spewed out many different good patterns. So much choice! 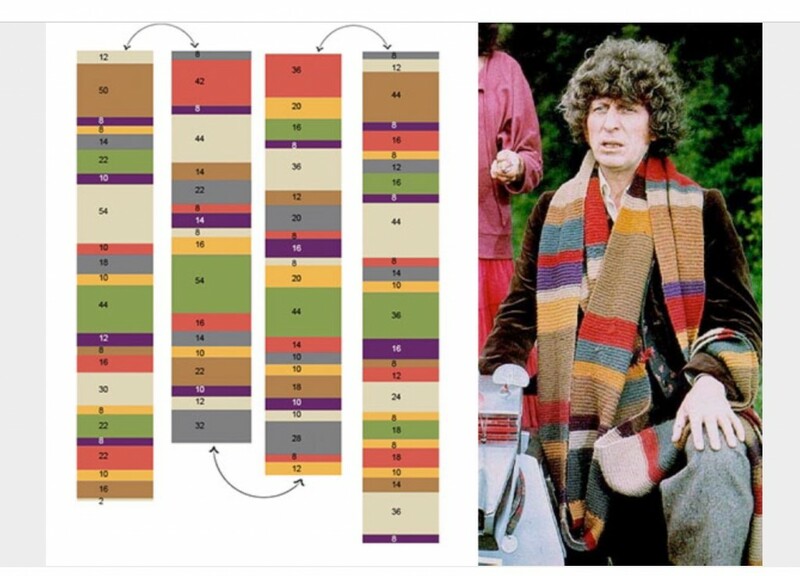 And apparently this Doctor had many different scarves as well, all with a different color pattern, pfft! So… I had to make a choice. Together with my husband we decided on this one. As you can see, it’s a very clear and easy to follow pattern. It even has the number of rows the colors need to have. And then comes the fun part, I get to order yarn! I’m like a kid in a candystore when I get to buy new yarn, yummy! As soon as they came in, I shot a pretty picture of them and then figured out a way to keep everything together and tidy. 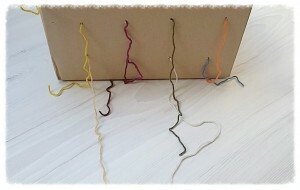 I poked holes in a box and picked the starting thread out of the skein. Then I put these threads through the holes and taaadaaa, these won’t go anywhere! And then to pick the right pattern/stitch for this scarf. I assumed the original one is knitted. But I’m a crocheter, knitting is just not my thing! So, what stitch is comparable to knitting? 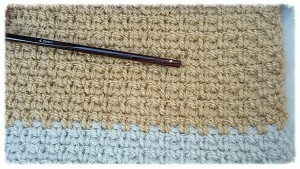 Most crocheters know this answer, it’ll be the Moss/granite/linen stitch (so many names for one particular stitch!). There’s a pretty clear pattern of this stitch in my Crochet Bible, so I grabbed that and got to start! It’s a simple little stitch that works very fast. And this is it, I like it! Within the hour I was well on my way. I would have never picked these colors together myself, but when I see them like this, I like it very much! Hopefully I’ll keep on this speed and make hubby happy with his scarf later this week!